I am in the process of reading all of Greg Iles' books. mystery you can imagine. Blood Memory is no exception. This is a well-written book with an extremely interesting story line. I have to admit that I guessed quite a bit before the ending, but it didn't matter. The writing made me want to see how the main character discovered things. However, not everything was a given; there were definite surprises to be found. The author manages to handle an extremely taboo subject with grace and tactfulness. The book was well researched, also. The main character was smart inher investigations, no dumb horror movie heroine here. Try this one out & if you enjoy it, pick up some of Mr. Iles' other books. I have found him to be a terrific author with many varying genres. Is the South this bad?? n 1994, thirty years after the two previous trials had failed to reach a verdict, Beckwith was again brought to trial based on new evidence. During the trial, the body of Evers was exhumed from his grave for autopsy, and found to be in a surprisingly good state of preservation as a result of embalming. Beckwith was convicted of murder on February 5, 1994, after having lived as a free man for the three decades following the killing. Beckwith appealed unsuccessfully, and died in prison in January 2001. Other then the societal issues, the book presented a pretty clear cut mystery case. The plot twist wasn?t very surprising. All the characters fall into place in a neat logical fashion. I learned a lot about child related sexual abuse as well as the profound impact it has from generation to generation. The writing is clear and presents a comfortable read for a relaxing summer. The text is a bit long but I can?t see where you can just cut out a hundred pages without losing the great explanations it provides for the crimes. Over all its 3.5stars with a half star attributed to the fact that Cat ?freed the slaves? at end of the story. 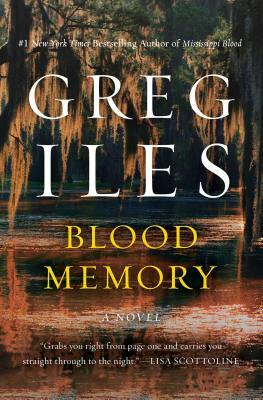 Greg Iles grows by leaps and bounds with each book. The details in this tale may not be for the faint of heart, but the author had addressed the taboo with sense and sensitivity all along. I think he did an outstanding job of creating whole and complex characters. They move the story along with an almost frantic pace that makes it hard to put this one down! This book keeps you interested in it's subplots as well as the main storyline. I was shocked with the ending and quite pleased once I finished reading it.